TICAD is a global framework for Asia and Africa to collaborate in promoting Africa's development. 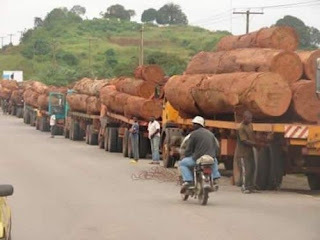 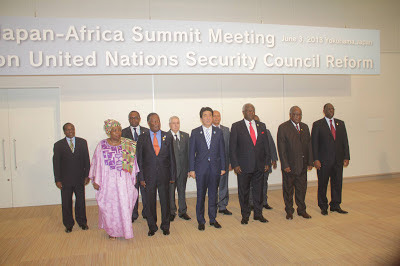 The first Tokyo Conference was held in 1993 and ushered in a continuing process of support for Africa and consensus-building around African development priorities. 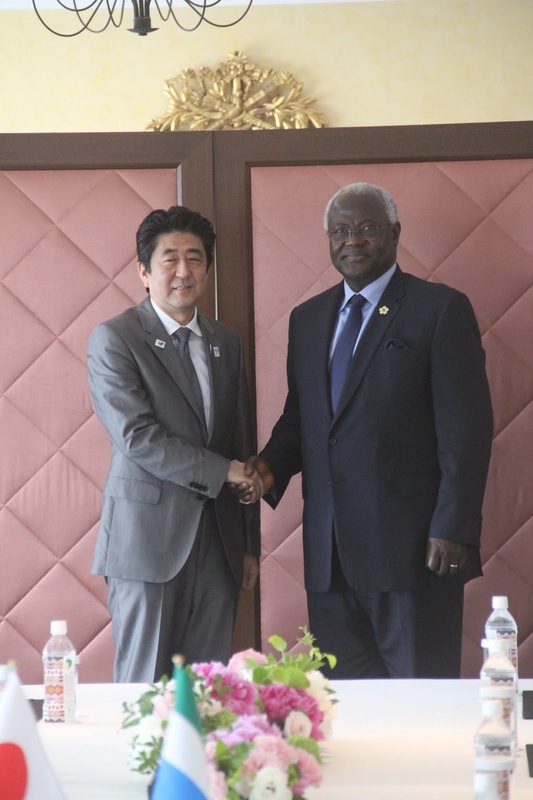 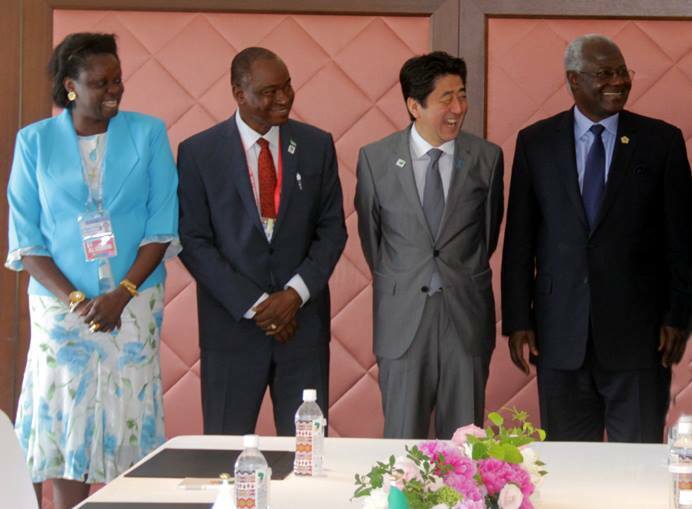 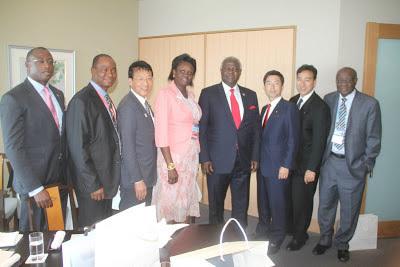 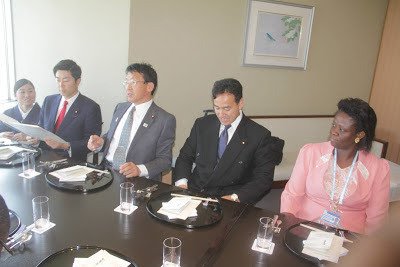 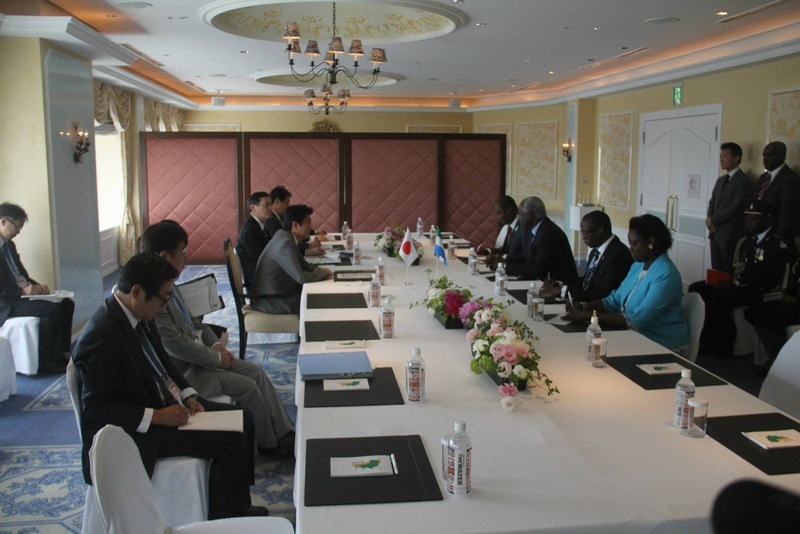 Photographs below show President Koroma being welcomed by His Excellency Shinzo Abe, Prime Minister of Japan; in plenary sessions for heads of states with members of his delegation, and at other official events that took place in Yokohama, including a meeting with Sierra Leonean students in Japan. 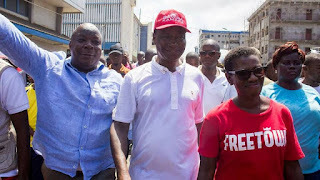 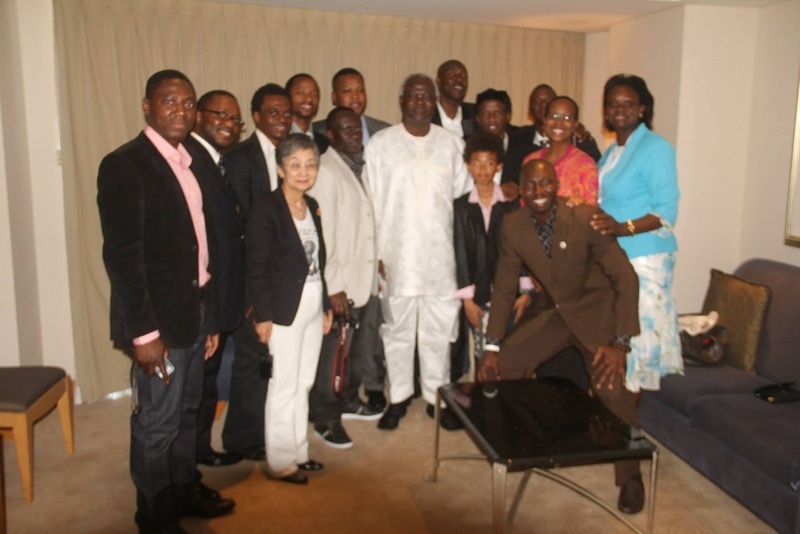 All photos were provided by Presidential Special Executive Assistant Sylvia Blyden.